Well, it’s official…I’m a Food Affairiate! I was blessed to be selected as one of the Bloggers to receive a preview copy of Beth Aldrich’s new book, Real Moms Love to Eat! Now this is a review that I can really get into, one that involves food! First, I have to say that Beth is a vibrant, exhilarating writer. Before she sent me a copy of the book, I thought “I hope this isn’t just another cookbook”. I certainly wasn’t disappointed. The book is not only about recipes, it’s also about Beth, her family, and her love affair with food. We get insight into why Beth wrote the book, and why she cares so deeply about each and every one of us. She teaches us that it’s ok to love food, and we can still be healthy and happy while still indulging in the food we love. I’ve actually read the book twice, yes twice! I feel invigorated every time I open the book to continue the food journey with Beth. One thing that I’ve found is that I’m learning new things the second time around. You don’t find that very often with books these days. 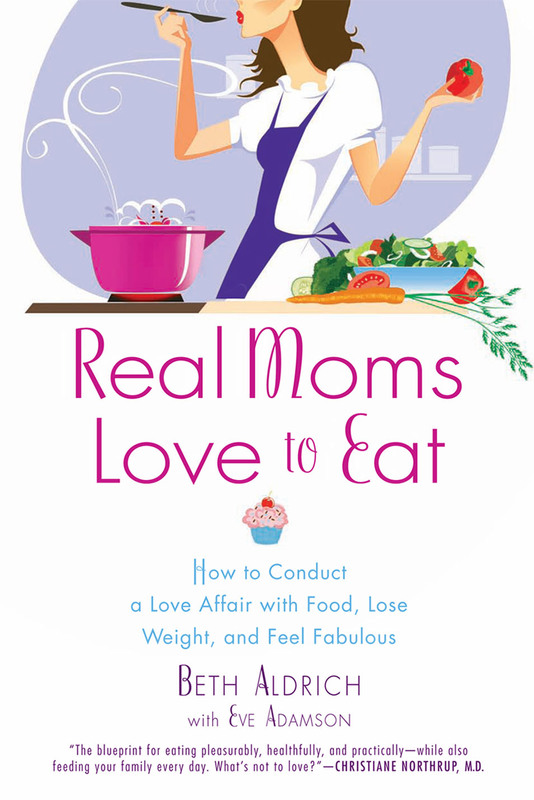 Make sure you stop by Beth’s Real Moms Love to Eat website to pre-order her book for a chance to win fabulous prizes! Disclaimer: I wrote this blog post while participating in the SocialMoms and Beth Aldrich – Real Moms Love to Eat blogging program, for a chance to get 3,000 My SocialMoms Rewards points. I was also gifted from Restoring Essence Nutrition, LLC-owner of Real Moms Love to Eat, a free digital copy of the book, “Real Moms Love to Eat” and an entry into the prize drawing on January 3,2012, for participating in this virtual tour and writing about this book pre-order contest. For more information on how you can participate, click here. Such a lovely post, thank you! Hi to every single one, it’s in fact a pleasant for me to pay a quick visit this site, it consists of helpful Information.